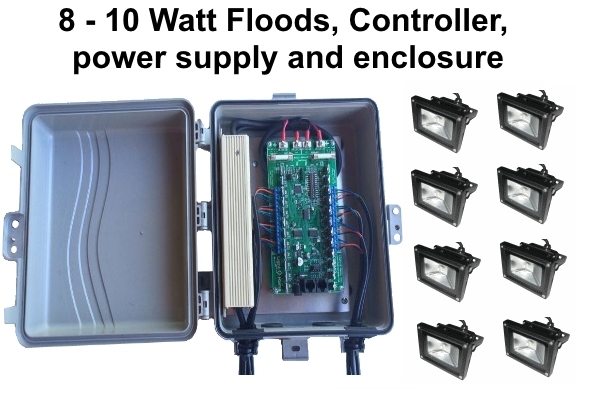 Plug-n-Show - Includes floods, controller, power supply, enclosure. High quality Power Supply ( extend temperature operating range ). The S5 Version of the Light-O-Rama Software Suite is recommended.